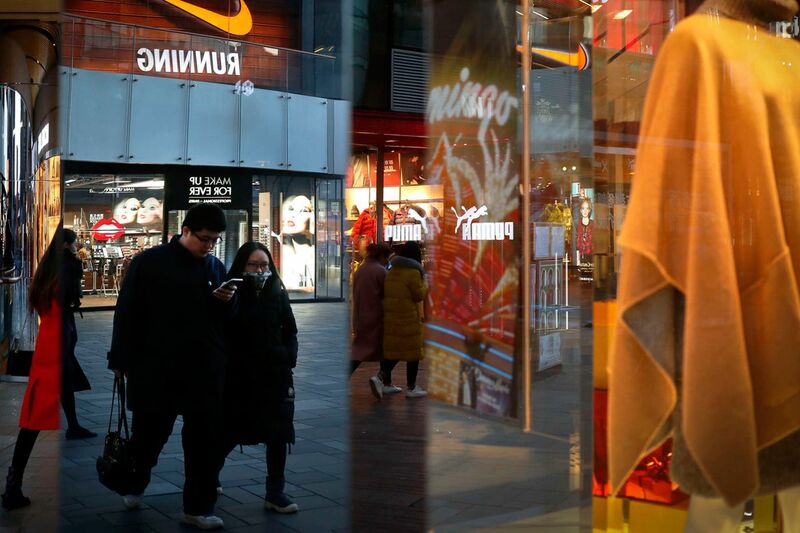 Shoppers browse at a Beijing mall. China could be ruled a currency manipulator once Donald Trump becomes president. That might mean higher tariffs. The stock market has been on a tear since the presidential election. The Standard & Poor's 500 index, a broad measure of stock prices, is up an impressive nearly 10 percent, and has been hitting record highs almost daily. This has become known as the Trump rally. Stock investors are expecting big things from the new president. Most important: much lower corporate-tax rates. Candidate Trump wanted to lower the top marginal rate for corporations from the current 35 percent to 15 percent. House Republicans, led by Speaker Paul Ryan, have a plan to reduce the top rate to 20 percent. Either way, lower tax rates would be a windfall to stock investors. Investors also expect President Trump to significantly roll back regulations on businesses. Repealing and replacing Obamacare has been a mantra of the new president and his supporters. The president has promised to "do a big number" on Dodd-Frank, the sweeping legislation passed after the financial crisis to reform Wall Street and ensure that too-big-to-fail banks never need another taxpayer bailout. Stock prices for the nation's largest financial institutions have surged in response. "Out of control" environmental regulations are also in the president's cross-hairs. He has already resurrected the controversial Keystone Pipeline project that President Obama agonized over, but ultimately rejected. Stock investors are cheered by the prospect of more corporate mergers and acquisitions, because the Trump Justice Department is not expected to be much of an obstacle to such deals. Obama's Justice Department was an impediment; it feared allowing large companies to gain too much control over their markets. The stock prices of big telecommunication companies with massive deals in the works have jumped. Defense company stocks are up a lot, too, as investors are hoping that Trump follows through on his promise for more spending on the military. He has talked about increased infrastructure spending, which boosted stock prices of construction-related companies. And broad-based tax cuts for individuals, something he has also promised, should also provide a pop to many companies' bottom lines, or so investors figure. The Trump rally is thus being powered by investors' high expectations for big tax cuts, much less regulation, and large increases in government spending. Corporate tax cuts have a fighting chance of making it through the legislative process, but it's no slam dunk. And, if they do get through, they will likely be on a much smaller scale than the president wants. The problem is their cost — and how to pay for them. There has been much talk about implementing a border-adjustment tax, which taxes imports and not exports, and because the United States imports more than it exports, it would generate a lot of revenue to pay for lower corporate tax rates. However, regardless of the economics of such a tax — economics that are actually pretty good — this is politically a very heavy lift. The nation's retailers, who import much of what they sell, are already losing their proverbial minds over the possibility. The president and Congress could simply not worry about paying for the tax cuts and the bigger budget deficits that would result. But this seems like a stretch for a Republican Congress that was willing just a few years ago to shut the government down over the nation's deficits and debt. Big changes to regulation also seem like a bridge too far for policymakers. Obamacare may be tweaked, but repealing it seems unlikely, given that doing so would mean rolling back insurance for a large number of the more than 20 million additional people that got it under the program. And there is probably no going back on the most important parts of Dodd-Frank, because banks have already made the big investments necessary to comply, and many of the rules are set by international banking regulators. Adding to my skepticism is that investors have yet to seriously consider the implications of Trump's anti-immigration and trade stances. His immigration ban and penchant for threatening higher tariffs on Chinese and Mexican imports are testimonial, and bad for business. Fewer immigrants will only exacerbate businesses' mounting difficulty in filling the already record number of job openings. Meanwhile, tariffs threaten a trade war. If investors are disappointed by what comes out of Washington in the coming weeks, as I suspect they will be, stock prices are very vulnerable. Since World War II, investors have been willing to buy stocks at a price that is approximately 15 times their earnings. Today, they are paying well over 25 times. The only other time investors were willing to pay as much for stocks was during the dot-com bubble in the late 1990s. I'm not arguing that the current stock market is a bubble or even that investors should sell their stocks. Anyone invested in the market should be in for the long haul, and not get caught up in the market's gyrations. But what I am arguing is that this would be a good time to buckle in, as the market appears set to gyrate. Mark Zandi is chief economist at Moody's Analytics.